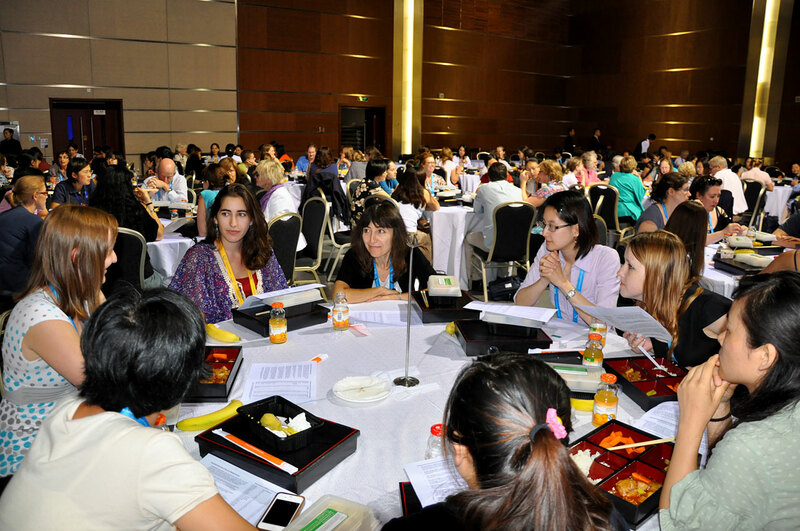 The IAU XXVIII GA Women in Astronomy Meeting luncheon was held on Monday 27 August 2012 in Bejing, China. The WAM ran from 12.30pm to 2.00pm and all IAU delegates were invited. The meeting was held in Plenary Hall A on the 4th floor of the China National Convention Center (CNCC) . The Women in Astronomy Lunch was attended by approximately 300 people, a new record! The meeting was sponsored by the US National Academy of Sciences, the US National Science Foundation, and the IAU. After the initial welcome address by IAU President Bob Williams, this year keynote speaker, Prof Yangchun Cui (President of the National Academy of China) gave a presentation on the status of women in astronomy in China, from the very early times to the present. Her speech was followed by a short presentation by Prof Bryan Gaensler (Director of CAASTRO, Australia) on gender biases and good practices to avoid them. Break-out sessions were then held at each table (8 people/table) to discuss key issues and concerns. 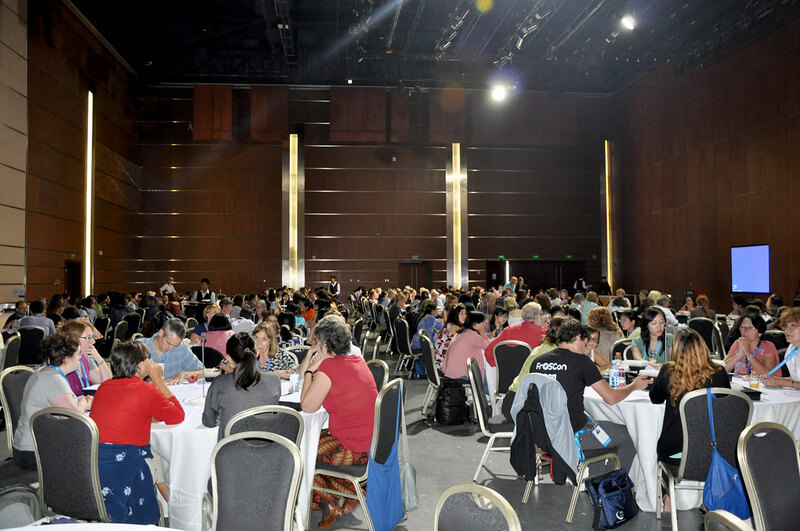 During this year General Assembly, the IAU Working Group of Women in Astronomy organized a second event, an evening mentoring session. This was attended by about 80 people, who were grouped according to their career stage (each group had several mentees and a couple of mentors) and subject of interest. The group-topics ranged from time management, work-life balance to self-confidence and how to find a job and develop a successful career in astronomy. More images from the WAM can be found here.